WASHINGTON (CNS) — Trash was not picked up around some of the most famous of monuments in Washington, and the White House Visitor Center and other tourist spots in the nation’s capital closed as the president and lawmakers refused to find common ground to end a partial government shutdown. But Washingtonians, government workers and those visiting Washington during the most recent shutdown — which began in late December over a political disagreement involving money to build a border wall with Mexico — aren’t the only ones venting anger at the country’s political center. Far from the seat of political power, Catholics working in border communities such as El Paso, Texas, think they, too, have been impacted by Washington’s squabbles, and they expressed anger about experiencing more than just daily inconveniences. 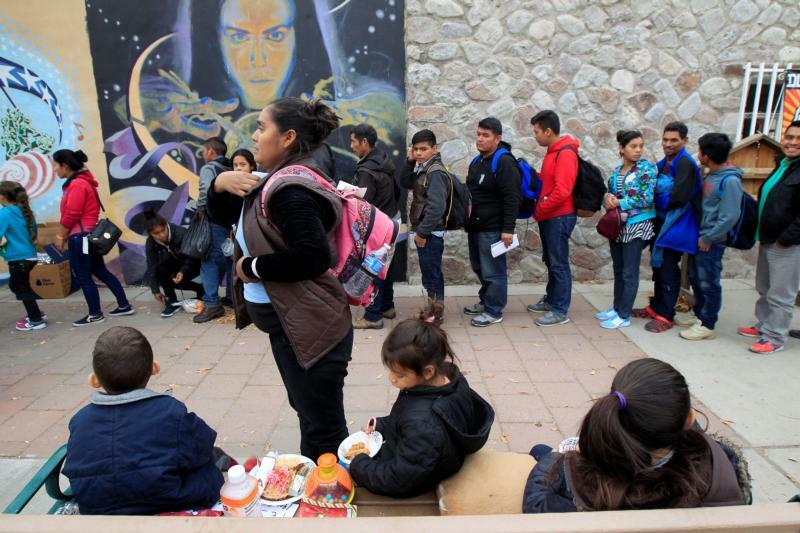 Places affiliated with the Catholic Church, such as Annunciation House in El Paso, have been accommodating between 300 to 400 migrants daily, “depending upon volunteer efforts and whatever resources we have,” said Bishop Seitz, but the sudden unannounced release of hundreds of them without notice left little time to prepare. And yet, Corbett said, locals lined up to provide tamales, pizza, water, offers of shelter, anything they could get their hands on to feed the hungry and tired crowds. Catholic parishes have made available volunteers and facilities to help, said Bishop Seitz, but he believes the government also needs to own up to what happened. “Who among us if faced with similar circumstances would not do the same for our family? ” he asked.